Michael Tilson Thomas is an American composer, conductor and pianist. He is currently the Music Director of the San Francisco Symphony as well as the Founder and Artistic Director of the New World Symphony. 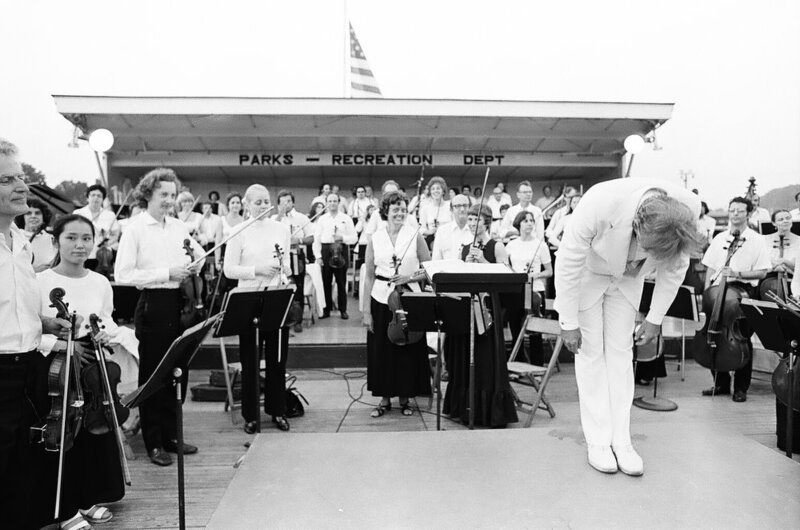 He came into international recognition at the young age of 24 during his debut conducting the Boston Symphony Orchestra in 1969. 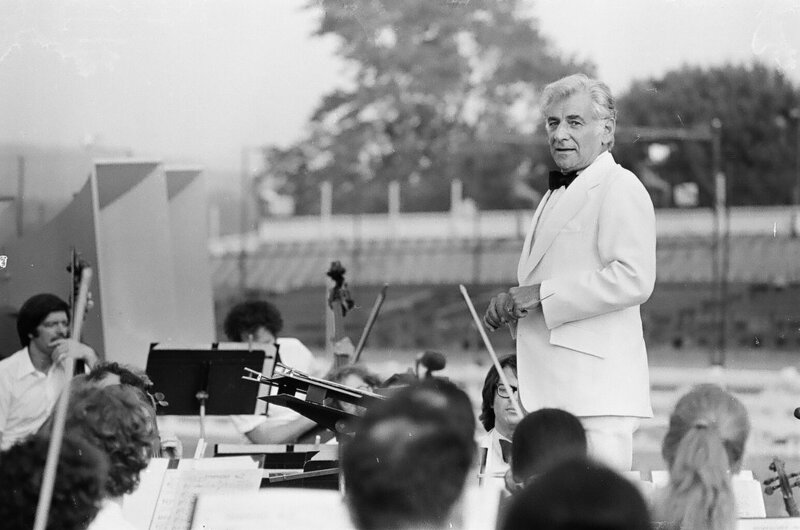 He worked with Bernstein (pictured in the second image) during his time conducting the Young People's Concert Series at the New York Philharmonic during the 1970's. 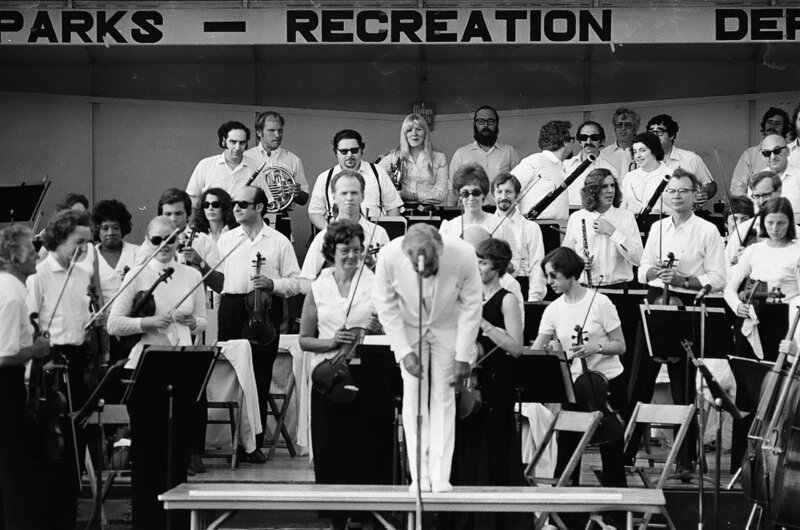 Thomas' performance followed Bernstein at the Charles Ives Centennial Concert in Danbury, Connecticut on July 4, 1974. Working as a photojournalist from the turbulent 1960s through the 1970s and beyond, David Vine created thousands of images. Photographing events like the New Haven Protests, or personalities such as President Richard Nixon, Leonard Bernstein, and artist, Eric Sloane, Vine's images not only give a glimpse into the past, but also captivate us with their dramatic presence. 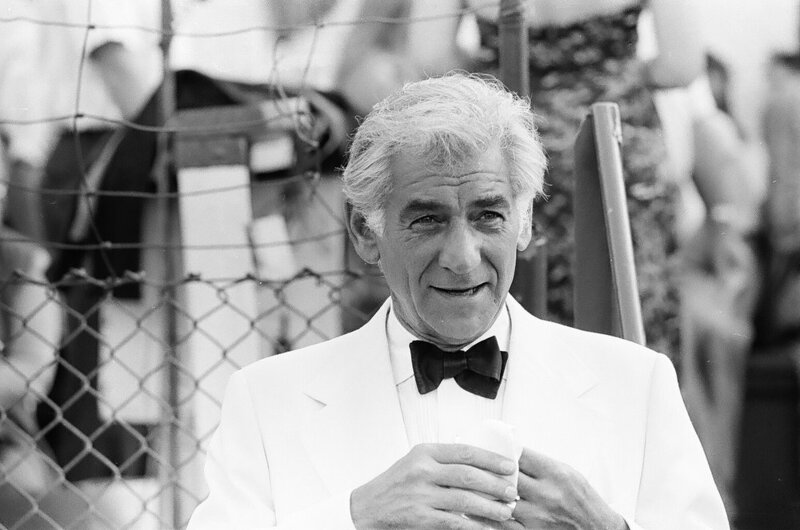 RetroPhotojournalism.com showcases some of the best work from his photo files. Prints are available for sale here. Rights licensing is also available.